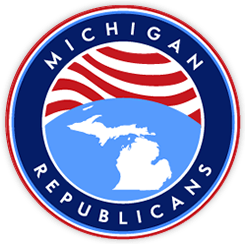 On July 12th, 2011, the Michigan Republican Party State Policy Committee decided in closed session to recommend that the state republican presidential primary should be a “closed” primary, to be held sometime between February 28th and March 6th of 2012. On August 13th, the full MIGOP State Committee will make a decision whether to go with this recommendation or to adopt another process. There are several concerns about this, not the least of which is that there is the widespread opinion among various elements within the party that the process of arriving at this decision has not been as open and transparent as it ought to have been. Toward that end, the Michigan Faith & Freedom Coalition invited state committee members, grassroots activists, and concerned citizens to attend a series of town-hall style forums in order to voice opinions and gather information. As the person asked to moderate the Kent County forum, I can say that the 2-1/2 hour discussion was very robust, amazingly civil, and quite informative. The strengths and weaknesses of each of the options were discussed in detail, and an opinion poll was taken at the end. Given how overwhelming the result of that poll was, I think that this is something that should be passed along to as many decision-makers within the MIGOP as possible, by any means necessary. I’ll warn the reader fairly that what follows is a tad lengthy and may require more two or three read-throughs in order to understand it all; but this is important, and it’s absolutely critical that we understand everything that is involved in not only the method of conducting the primary, but also the process by which that decision is made.